It’s an annoying fact that long, hot Australian summers bring plagues of bugs along with the ice-creams, picnics and outdoor pursuits we love. These unwanted guests enjoy a breeding bonanza in wet and warm weather. 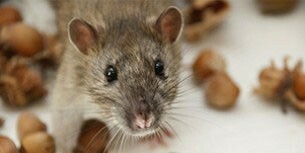 The longer the spell of hot weather, the more entrenched these infestations can become. Pest control companies know the warning signs, and are kept super-busy during the summer months ridding our homes of termites, cockroaches, mosquitoes, midges, wasps, fleas and spiders. Let’s look at some of the bugs that proliferate in warm, humid summer conditions up and down the east coast of Australia – posing a risk not only to ourselves, but our pets too. 2015 saw a rise in the number of red-back spiders invading homes in eastern Australia, according to Queensland Museum arachnologist, Robert Raven. One of the few spider species posing a serious threat to humans, the native red-back is commonly found beneath rubbish and lurking behind items left in our backyards. The increase in vegetation growth following spells of hot, rainy weather helps spiders like the red-back thrive, also increasing the likelihood of finding them indoors. The adult female has a spherical black body with a red stripe on the upper side of her abdomen, along with an hourglass-shaped red streak on the underside of her body. The European wasp delights in hot weather, and is capable of giving a very painful sting. Melbourne experienced one of its worst ever wasp plagues in 2015, with people finding wasp nests in many places around their homes. With a mature wasp nest capable of holding thousands of wasps by the middle of summer, it’s not a threat to take lightly. It’s worth having an emergency pest control contact number handy in the event of finding unexpected visitors. 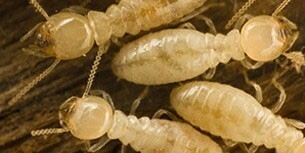 Dark, warm and moist places are beloved by the German, American and Oriental cockroaches generally found in Australia. The warmer and damper it is, the easier it becomes for cockroaches to breed. 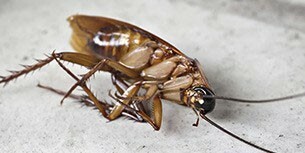 Cockroaches are regarded as being high-risk pests with the potential to carry a range of diseases, as well as increasing the risk of childhood asthma. Ticks proliferate in warm, wet conditions, and are a particular hazard to both people and pets in Sydney and its surrounds during the summer months. These pesky creatures can cause a range of human health problems including rashes, allergies and anaphylaxis. They are also implicated in the increasingly diagnosed Lyme’s Disease , according to the Lyme Disease Association of Australia. While bush ticks can be troublesome for dogs, a bite from a paralysis tick can be fatal, as many dog owners have discovered. Ticks can be hard to spot on our furry friends – check behind ears and in-between toes! Fleas thrive in the hot, humid Australian climate, so it’s advisable to keep your pet’s flea control treatment up to date. Flea bites can be painful for your dog or cat, and just as painful for humans. These unpleasant pests breed rapidly in hot, wet conditions and are a staple of Australian summers. Proliferating around saltmarshes – a key breeding ground – their blood-sucking bite is not only painful but dangerous, with some mosquitoes carrying potentially fatal diseases like Ross River Virus. Given this motley crew of insects, it’s important not to overlook pest control, especially since Western Sydney right through to the Blue Mountains has more than its fair share of bugs. A reliable pest control company can help you deal with these unwanted guests who insist on sharing your home.